MLS Commissioner Don Garber addresses media members regarding the MLS CBA. With the draft now concluded and preseason camps underway, the next major event in the life of Major League Soccer is completing the new MLS CBA (Collective Bargaining Agreement). The MLS CBA is the league’s agreement with the MLSPU (MLS Player’s Union) and usually is a 3-5 year labor agreement. The current MLS CBA is set to expire January 31, 2015. On point for this CBA round of talks are two main emphases – (1) increasing the lower and middle wages of players in the league and (2) free agency. Jeff Carlisle of ESPN FC reported that free agency isn’t even present in the current MLS CBA proposal, despite many players and former players calling for a change in the practice around the league. The league minimum wage is around $36,500 – while there are many conditions that may increase or decrease that number – this info graphic is helpful in terms of visualizing the makeup of different team salaries across MLS in 2014. In a 2013 post on Quora, the MLS was compared to other professional sports leagues in the United States, coming in at the lowest in terms of minimum salary amounts across the 4 “big-leagues” (NHL, NBA, NFL, and MLB) as well as the WNBA (Women’s professional basketball). The players believe that the league minimums need to increase in order to stay competitive with other leagues of similar stature (like Mexico’s La Liga) around the world. 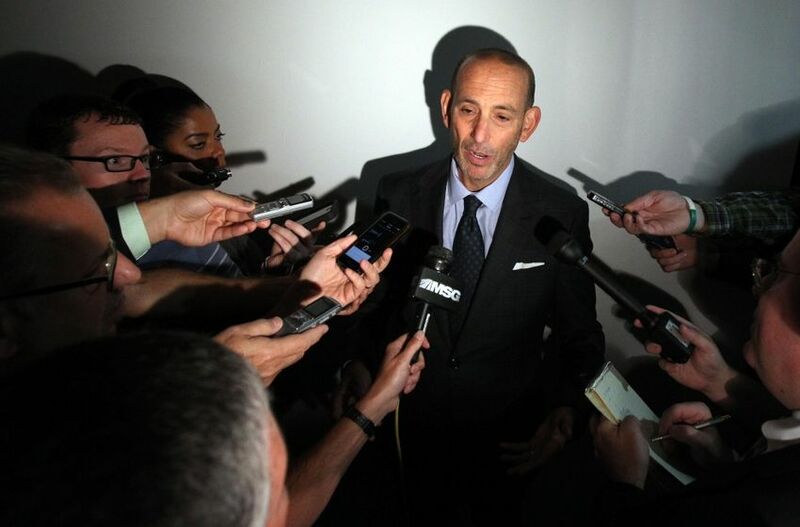 While many labor talks in the world of professional sports can seem to be just the usual fare of athletes asking for more money, the current MLS CBA talks don’t have the type of numbers and figures that we are accustom to seeing in the media. With other professional sports making close to half-million salaries as minimums, the MLS CBA isn’t a “show me the money” kind of movement, yet. Most players have realistic expectations – salaries won’t catapult overnight; however, for a league that is entering it’s 20th season and (for all intents and purposes) looks like it will be around for a while there will be some pivotal moments of growth for the league and this year’s CBA may be one of the bigger ones in recent times. MLS players (at the minimum) currently earn less than the average wage paid to public school teachers and when you factor in the average length of a professional sports career being anywhere from 2-5 years (according to the RAM financial group), players in the MLS can experience even shorter careers because minimums are difficult to live on. What I am talking about now doesn’t even consider the differences in cost of living across the 20-different markets in MLS. These factors can often contribute to early ‘retirements’ of players and can result in decisions like the one Colorado Rapids’ Kory Kindle made last year. The result is a high-rate of turnover and sometimes can put players and families into difficult decisions as they may not be prepared for life after soccer. Admittedly, the lower salaries and money in MLS does make the players more ‘accessible’ – to fans, and chaplains, too. When a player only makes $35k a year and you offer to buy him Chipotle burritos or you have him over to the house for a home-cooked meal, there is a great appreciation for it. For CrossTraining and our chaplains and counselors, we make it a practice to always buy the meal or the coffee when we interact with players, coaches, staff, or their families – it is one way that we can serve and care for them. The players that make higher salaries – are often less approachable. Of course, when your making hundreds of thousands or millions, people want to be around you and these high-profile athletes learn to build defense mechanisms to keep people at a ‘safe’ distance. Although, there will always be the stories of the pro-athlete who lets bad people into the inner circle and eventually ends up suffering from it. Consider this, in the professional sports world – everyone wants something from you. Even the innocent kids that just want an athlete’s autograph are still asking and taking from the athlete. For chaplains, we have to go to the extreme opposites of not asking and not taking so that we can earn the trust and properly care for the people God places in our paths. This also brings conflict because we cannot ask to be supported from the very people that we are trying to care for. Chaplains must maintain their positions with the utmost integrity. There have been discussions from time to time that the MLS CBA should include a line item agreement allowing chaplains access to the club. There is no uniformity across the league – some of this is based on ownership or coach values or ideals – some chaplains have full access to club players and employees, other chaplains have had to adapt their ministries to the constraints placed on them (often waiting outside gates and closed doors or meeting people off-site to provide care). CrossTraining has developed multiple strategies as the landscape in professional sports continues to change and become increasingly closed off to chaplains working with teams. I would support a move to help create space for a chaplain presence in the MLS CBA, but I think there are other issues more pressing. While I cannot pretend to be expert enough to know the mechanisms of free agency and how they might be worked out in MLS, I can attest to the mental and emotional strain of the current systems that hold a player (and often a family) in a difficult place in terms of finding “gainful employment.” Consider that when non-playoff teams in 2014 met with players to inform them of the future plans (or future dismissals) it was most likely around the last week of October/1st week of November. The drafts to get players into other teams or released from their current contracts didn’t end until December 18 – a week before Christmas! Anyone in business knows that far into December is typically a ‘dead’ time of year in terms of making moves, decisions, spending money, or even having the executives or personnel around to make decisions. While I will be the first to acknowledge that God often meets one in the waiting spaces of life – as a chaplain, part of my role is to advocate for the players and their families. As we care about the “whole” person – this also includes the salary and wage that they are on as well as their ability to seek employment. We famously pray, “give us this day, our daily bread…” and that daily bread comes via the salaries we make in gainful employment. It can seem mighty unfair and unjust when the league minimum player is playing as many minutes and is at just as much risk for career-ending injury and a short professional career as the next guy making six figures or more. So, for me – I would vote to see the lower and middle wages raised to levels that would more comfortably support a player and his family and also to see different processes in place that help players have greater choice to find employment. But, in truth, I haven’t received a phone call asking for my opinion on the MLS CBA – not from players or league executives. And, in all honesty, aside from the chaplain role of being an advocate we must be prepared no matter where the negotiations and discussion eventually land. It is almost a forced neutrality that chaplains must undertake – for we serve people on both sides of the negotiating table. We are often the ones in the backgrounds supporting and praying for all involved. May there be fairness and justice in every way. For the league, the player, his family, and his friend. Let there be diplomacy in the dialogue and may both sides compromise well. Posted in From the Rev and tagged CBA, chaplains, Colorado Rapids, crosstraining, Deuteronomy 24:14-15, Don Garber, ESPN FC, Jeff Carlisle, Kory Kindle, Lord's Prayer, Major League Soccer, MLSPU, prayer, Rev Brad Kenney.